When looking for the best tower fan it is important to think about what exactly you are looking for and how you will use it. Do you want something for the bedroom that has white noise? Are you after something that blows furiously? Are you looking for something that fits in with nice decor? There are a number of questions to ask and we hope to provide the answers in our below guide. The Lasko Windcurve is a jack of all trades and we think it suits people looking for a low fuss, reliable tower fan without the need for bells and whistles. It may not be the most powerful tower fan or have the most features, but the Lasko 2551 Windcurve does everything it is meant to well. It is a high-quality, quiet, reasonably powerful fan with standard features (and an ionizer). Most importantly is of high quality and has a proven track record. It is not uncommon for tower fans to be cheaply made and for people to have issues with quality and bit and pieces breaking down. This fan can be used in the bedroom easily as it is not too loud and also has a remote control which is important unless you enjoy getting out of bed to press buttons! It is by no means perfect though, and is probably not a one size fits all solution. It is not the most powerful, it doesn’t have a lot of features, leaves a bit to be desired design-wise (is some peoples opinion) and does not come with a long warranty. Though we think, if there was a fan to be nominated that would do the job it is supposed to, with the least bother, this would be it. The Lasko 4924 is probably the most powerful tower fan on the market. If you don’t mind a bit of noise, this fan would be a top pick. Great for living or large areas, not ideal for bedrooms. This tower fan is probably the highest rated by consumers. It has great feedback, a proven track record and is definitely well-liked by most who purchase it. It is however not for everyone. It does not come with a remote control and it is loud. For those looking for convenience and perhaps a soft white noise (which are common hallmarks of a good bedroom fan) this is probably not for you. That said, if you want a tower fan do blow a lot of air, and add good circulation to a room we think this is a good choice. As far as tower fans go for large rooms, we think this would be the number 1 tower fan. And if you were wanting something more powerful, you might be looking at a floor fan or pedestal fan. The Dyson Am07 has many features, reasonable airflow, is quiet and convenient and not to mention stylish. But the price tag will be a big deterrent for some. The AM07 a beautiful looking fan and has high specs and features which go along nicely with its design. 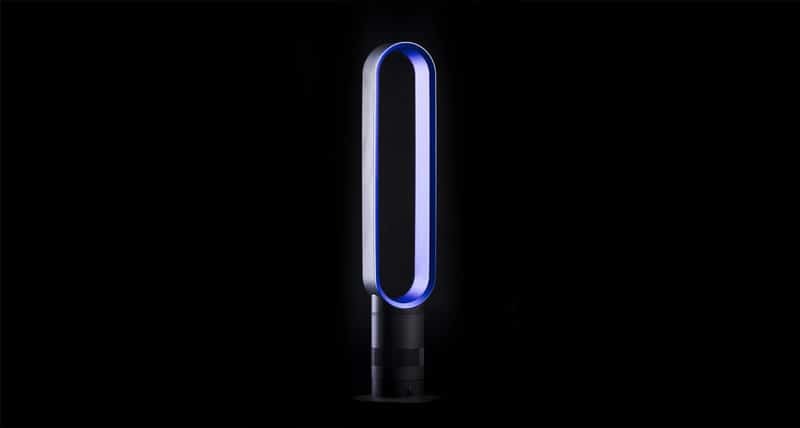 Read our full Dyson fan review here. There are a number of features on this fan which put it ahead of many other tower fans. 10 speeds give you more control over airflow. The bladeless design is not only cool, but it makes the fan very easy to clean. Ultimately it comes down to preference and budget. If you have a bit more budget to use then the Am07 would make a great fan. Is it worth 7 Lasko Windcurves? Tough to say but it would be nice, if you are spending this sort of money, to get a bit more than a 1-year warranty, which happens to be the same length as the Windcurve. The Lasko Windcurve as mentioned above is a jack of all trades but master of none. Overall this fan would suit someone searching for some reasonable airflow, reasonably quiet and is reliable. It is often the case with tower fans, is that they are cheaply made and can break down easily so having something as proven as the Windcurve can do a lot to alleviate product quality issues which can often occur. Ionizer: If you are looking for a good tower fan with an ionizer, this should certainly be a consideration. If you don’t know, an ionizer is one way of cleaning the air of impurities. Using an ionizer has its pros and cons, and personally, if it was an important consideration I would look at an air purifier, but with that said, a number of people were very happy with the feature. Using the ionizer does turn on a bright blue light, which can sometimes be an issue which we discuss below. Remote control: The remote control is a handy feature on this fan and makes things convenient for people who dislike having to get up and change settings all the time. With the remote control, however, its only works within the line of sight and will not really work otherwise. So while the remote control is definitely handy, especially for places such as the bedroom, it is important that you can see the sensor from where ever you plan to use it from. Bedroom Use: Most purchasers found this very useful for the bedroom. It covers most tick boxes when it comes to bedroom use such as being quiet, not too strong, has a remote control and doesn’t take up too much room. One issue for some though is that it has a bright blue LED light which can be distracting when you are trying to sleep. Or it could be useful for those who like a nightlight. Either way, for those that would find this feature annoying, it is associated with the ionizer feature so you can turn off the ionizer and the light will disappear, or you can simply cover it with masking tape. Assembly: Tower fans can range anywhere from hard to easy to assemble. Luckily the Lasko Windcurve is very easy to assemble and there are very few people who would argue. So expect very little DIY time with this fan in order to get things up and running. Timer: The Windcurve comes with a timer that can go as high as 7.5 hours in increments of 30 minutes. Many found this feature useful, and it is also able to be controlled by the remote control. One small issue is that you have to cycle through the whole range to get the specific time you want. For example, if you are currently set at 30 minutes, each button press adds 30 minutes, so you have to click a number of times to get to 7.5 hours. A nice touch is that there are indicator lights on the fan which light up with the corresponding length of time that the fan is set for. Speeds: The Windcurve comes with 3 speeds which are basically the minimum tower fans will have. Some fans have up to 10 speeds, many with 4, but for the most part, 3 speeds are the default for a tower fan. Having more speeds gives you more flexibility not only over the wind speed, but often the noise the fan is making. It is always good to have options, and the Windcurve gives you some, but there are certainly other fans that give you a few more. Noise: One of the most common issues people have with tower fans is the noise. Often people will buy tower fans and be unhappy with how loud they are, especially if they are purchased for use in the bedroom. Noise can also be subjective, with a number of people saying one particular fan is loud, while others calling the same one quiet. It’s noise, or lack there-of is one of the strengths of this fan. Only a minimal amount of people considered this fan noisy. And that is a big deal when it comes to tower fans. But its not just the fact that the fan is quiet, it is still able to blow a good amoung of air at the same time, and this combination is why we feel this is one of the better tower fans out there. It is hard to find the right balance but this fan seems, for the most part, to do that. Quality: One has to remember that this is still a cheaply made product. But some cheaply made products are better than others. It is not uncommon for big corps to push as far as they can to see how cheaply they can get things made in order to make further profits. But one of the other reasons we feel this is a good choice is that comparitively speaking, the Windcurve has few product quality issues. I mean, it is probably not likely to last you 5 years at this price point, but judging by its performance and feedback of purchasers, you have a higher chance at a good run with this fan. It also comes with a 1-year warranty which is not too bad. Some tower fans offer only 6 months of warranty, however, there are others that offer up to five years. The jack of all trades. Lasko’s Windcurve is a good choice if you are looking for a balance between features, quality and price. It is not the most powerful, doesn’t have the most features, but it is durable, quiet and has solid airflow. All the hallmarks of a solid workhorse. 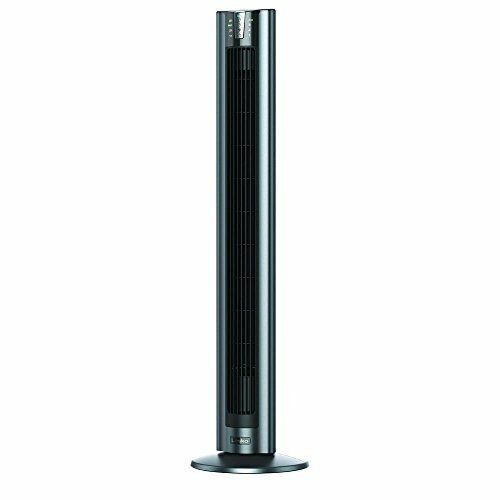 The Lasko 4924 is one the most popular and highest rated tower fans around and has many good qualities that make it that so. That said, it certainly won’t be the best tower fan for every scenario. Most specifically, somewhere like the bedroom, this tower fan lacks a few credentials that might make it a useful choice. With no remote control, it would mean having to get out of bed to changes settings. It is very powerful, even on the lowest setting so for some it could potentially be too much breeze OR it could mean that the noise is too loud to sleep. This fan doesn’t really fit into the ‘white noise’ category which many find useful for sleeping. It does not have a timer, so you will not be able to program the fan to turn off after a certain amount of time. So as far as a bedroom fan goes, we think you could do better. Move out to the living room and you have yourself a fan. Being that it is a larger room and most likely the reason you are thinking of purchasing a fan is help cool a room, this fan, we think, is a top choice. It is probably one of the most powerful tower fan out there, so it is going to give you the most air circulation possible, as far as tower fans go. And because of its less is more approach, there are fewer functions and bits and pieces on the fan that can break, or malfunction. This coupled with the fact the fan is well built has given this fan one of the best track records when it comes to quality and longevity. This fan is loud, so if you are looking for something quiet, it is likely not for you. This fan takes a less is more approach to features and focusses on quality of build, durability and blowing air. If you don’t need any bells and whistles, and just need good airflow, then this would be our reccomendation. When it comes down to it the biggest factor when it comes to the AM07 is the price. It’s a great tower fan but is it worth it? There is a lot to like about the Am07 which we will get into below. Remote Control: Like all the high-quality tower fans the Dyson AM07 comes with a remote control and it turns out the remote control is quite important. You can only control the fan functions from the remote control. On and off are the only functions you can control from the unit. So it is important to keep track of the remote. A criticism of the all-important remote is that when it is dark it does not have any lighting, so it is hard to see which buttons you are pressing. Probably a first world problem given pretty much no tower fans have this problem covered. Still, again it comes down to the price. At this level, it would be nice to have the small details looked after. If you lose the remote you are able to purchase a new one. Bedroom Use: This is actually quite a good choice of tower fan for the bedroom. 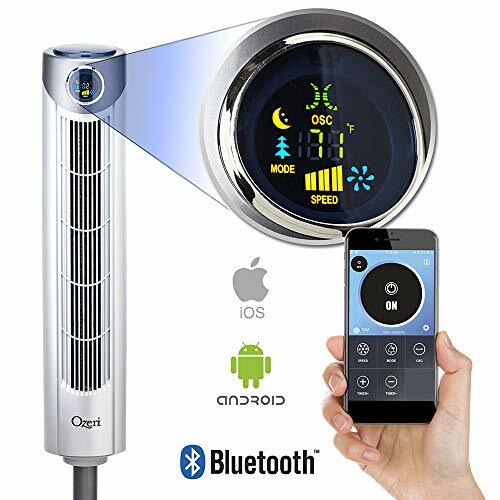 It covers all the important features you would want in a bedroom fan, such as convenience (remote control) noise (it has 10 speeds so you have many levels to choose from) and does not have any glaring bright lights. It does have a blue light, but it is located at the base, unlike most other fans which have bright lights at the top. Many like white noise to help them sleep and this fan is ideal, with so many speed settings, along with very customizable timer options it really is convenient. Timer: As far as timers on tower fan go the AM07 is in the top echelon with increments being able to go as low as 15 minutes and as high as 9 hours. Speeds: This is where this tower fan shines. It has 10 speeds which are by far more than any other tower fan. This is particularly important for bedroom use, giving you far more control over how much noise and output then fan has. Although the difference between each setting may not be huge, being able to select in those small increments is just something other tower fans do not have. Quality: With a fan in this price range you expect that the quality should be high. Most tower fans are made of cheap plastics and quality control is low. Dyson back their products with a 2-year warranty, which we think should be more at this price point. Vornado back their fans for 5 years and they are at a lower price point. You will also want to be careful if you do not purchase your Dyson locally as there have been a few people who have had issues with their product being covered by warranty due to purchasing overseas. Noise: Most who have used the Am07 have found it quieter than other tower fans and the Dyson has also been awarded the Quiet Mark Award. This fan has more features, is far more stylish and is much easier to clean than the Windcurve, and is also a great option for the bedroom. It is far less powerful than the 4924, but it does have 10 speeds which give greater flexibility. It has an ‘ok’ 2-year warranty and really, what it comes down to is – do you want to pay that much for a fan? Sometimes people might be looking for the most powerful tower fan to get as much air blowing around the room as possible. There are a few great tower fans that do this, but some neglect the fact that these tower fans end up being very loud. We personally tested one of these powerful fans, the Lasko 4443 Hybrid and yes, it blows a lot of air, but if you read through the review and see that it is certainly a lot louder than the other regular velocity fans we have tested. Unfortunately, it is a bit of a trade-off when it comes to really powerful fans, you are going to have to accept the noise. For this particular section though we will assume the noise doesn’t matter to you. We believe the Lasko 4930 is the most powerful tower fan. This fan is a high-velocity fan and as close as you will get to an industrial fan without being one. If you’re in need of some serious wind power, the Lasko 4930 35-inch high-velocity tower fan should be at the top of your list. Standing 35 inches (almost a meter) tall, the Lasko 4930 is perfect for large spaces and high ceilings. The slim and elegant Lasko 4930 can be placed in the corner of any room, while its powerful fan and smooth oscillating function spreads cooling air throughout the entire space. 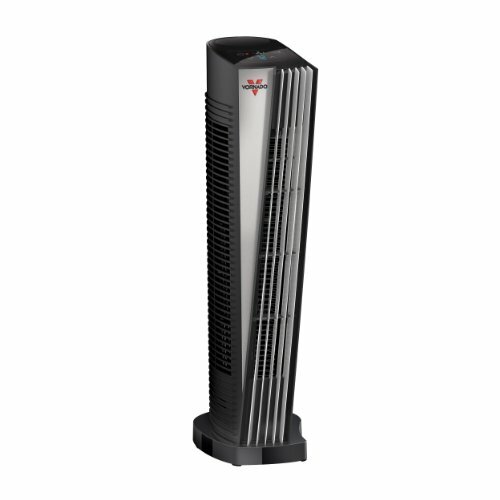 This three-speed tower fan comes with a remote control and has a timer, which is very handy for busy households or offices. Weighing just over 14 pounds, the Lasko 4930 is equipped with a sturdy handle making it easy to move around. In keeping with the no-frills sturdy design, it’s also easy to operate. Fan speed ranges from Level 1 to Level 3 and the timer can be set for 1 /2 /4-hours. The timer is perfect for those who want to reduce or manage their energy consumption. In addition to the oscillating function, the airflow can also be angled upward. This specific feature is excellent for office use because this super blaster is powerful enough to blow papers off a desk and across the room, so being able to direct the airflow comes in handy. Set it to oscillate and the fan will gradually rotate through a 45-degree arc. It takes about ten seconds to complete one arc, giving it enough time to direct its superior cooling power throughout the entire space. The Lasko 4930 is the most powerful tower fan in the range and due to its high velocity, this super fan can be a bit noisy when it’s on its highest setting (fast-moving air can’t be completely silent). But that’s easy to work around – if it’s being used in a room with a television, for example, simply set it on high to quickly cool the room and then switch to a lower setting to reduce the sound and maintain the temperature in the room. If you need to boost your existing breeze, the Lasko 4930 is the best and most powerful tower fan option available. It’s the perfect add-on for those crazy hot days as it has the power to effectively circulate air through large rooms. It’s also a much simpler and more cost-effective solution than upgrading an entire AC system. If you need a fan that will get the job done when the temperature spikes, this is the one for you. If you require something that is powerful but isn’t going to blow your house around the Lasko 4443 is worth considering. 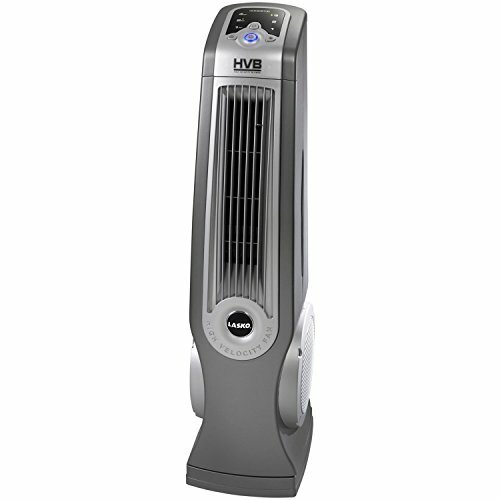 This model is a 40-inch tower hybrid fan with three speeds and oscillating function. It’s similar to the powerful Lasko 4930 but is designed for smaller rooms and less drastic air circulation. The Lasko 4443 also comes with a remote control and is easy to operate and move around which the other power fans do not have. To decide which fan best suits your needs, take a good look at the space where it will be used most often. In smaller bedrooms or living areas, the Lasko 4443 is more than sufficient. But if you’re in need of a superhero tower fan with the ultimate wind power, the Lasko 4930 is the way to go. Once the room temperature has cooled sufficiently, the Lasko 4443 can potentially maintain the temperature on one of its lower settings, depending on the size of the room. It also comes with a nightlight feature which can be useful for some people, especially in the bedroom at nights. This is one of very few fans that are actually effective in semi-closed spaces, thanks to its high-velocity output. Despite its impressive output, the Lasko 4443 tower fan is compact and incredibly user-friendly. It features a patented fused safety plug, a recessed handle for easy carrying as well as a storage area for the remote. Its slim build makes it easy to slot into a corner, next to a TV unit or simply flush against a wall. It’s the ultimate solution for those who can no longer stand the heat. As far as Wifi enabled tower fans go there currently is not a whole lot of options to choose from. When it comes to smart tower fans they are still in their infancy. Dyson has a whole lot of hybrid fan/purifier/heater/humidifiers but these are not in everyone’s price bracket. 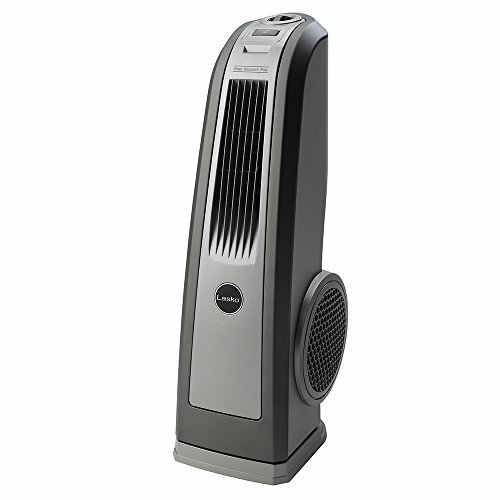 Ozeri is a popular brand when it comes to tower fans and they have a couple of wifi enabled tower fan options available. We cover the most powerful tower fans more in-depth in this article, but if you are only concerned with getting the most air out of your fan, then we recommend the Lasko 4930. It is quite limited in features but does give good airflow on all settings. If you want to get that airflow a little higher off the ground you might want a tall tower fan. Tower fans can reach up to 48″. We have written an article on tall fans for your home, so for a more comprehensive guide on tall tower fans visit our tall tower fan guide here. The Lasko T48303 is one of the tallest tower fans available. The theory behind ionizers is that they are meant to produce a higher quality of air making the space healthier to be in. It is a fairly contentious issue as to whether or not there are more benefits or cons and how effective these are at cleaning the air. Some claim there are numerous benefits to ionizing your air. While there could also be some negative outcomes in ionizing your air. Whatever the case our recommendation for the best tower fan with an ionizer, is our overall choice, the Lasko Windcurve. When you purchase any electronics you want to know that if your purchase breaks down you are well covered. 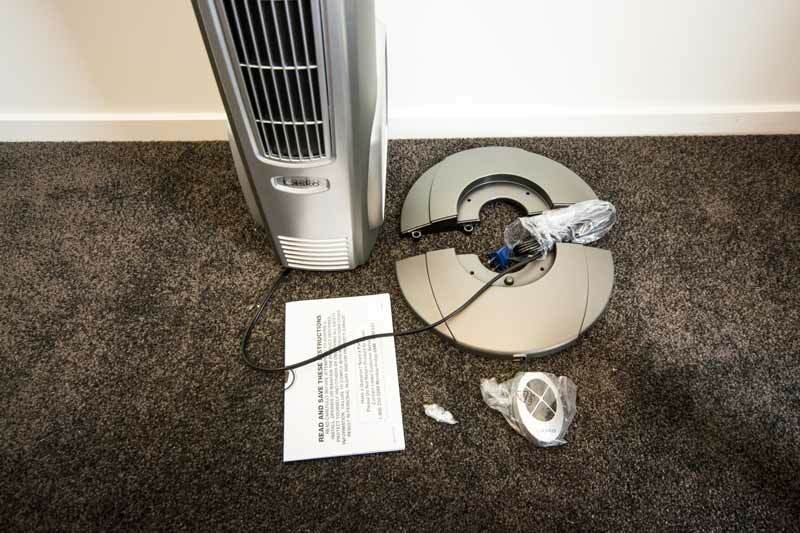 If you have been looking for a tower fan and reading through any reviews you will notice that the fans quite often break down or develop a fault which seems to be a common complaint with tower fans. Most tower fans you will find, come with a 6 month to a year warranty. That isn’t a long time and often the fans break down shortly after those time periods. It is a very short window of coverage. Luckily there are a few companies that do provide a bit of coverage. Dyson provides a 3-year warranty for its fans and to be honest at that price, you would expect nothing less than that. It is not, however, the longest warranty for a tower fan available. Vornado provides a 5-year warranty on their tower fans. Great to see a company back their products so if you are looking for the best tower fan warranty, Vornado is worth a good look. What is a tower fan? A tower fan is a fan that sits on the ground and uses the air from a room to blow back out and create circulation. They are different to other fans such as floor fans and pedestal fans in that they use an electric motor to blow the air into the room rather than large blades. Often they are more stylish and more convenient than other fans (for example – fit into small spaces) so are a better fit with the home decor. Why should I get a tower fan? The purpose of a tower fan is to help cool a room. Whether its a bedroom or living room a tower fan is a great addition to a ceiling fan or A/C. Tower fans are cheap to run, so if you are able to get enough circulation without the need for your air con then you may be able to reduce your energy bill. If you want something that can fit in a small space, look good with your home decor as well as having useful and convenient features tower fans are a good choice of fan. Some tower fans are also great for bedrooms as they are portable, convenient (remote control) quiet and often provide enough breeze (and white noise, which some find helpful while trying to sleep). Do tower fans cool a room? If your room gets extremely hot in summers and you are wanting to bring the temperature down a number of degrees a tower fan is probably not for you. There are other more powerful types of fans around which would help more, but fans do not cool as an air conditioner does. Here we explain how a tower fan cools a room, but in short, tower fans help create air circulation which can lower room temperatures, or they can create a direct ‘wind chill’ on a person to help them feel cooler. If you want cold air, you will likely want an air conditioner. How to Choose a Tower Fan? For example, if you have a large open room, you may want a tower fan that is quite powerful, but if you are wanting to keep your room cool at night a powerful fan may be far too noisy and blow around more air than is needed. In the bedroom, you may want a tower fan with a remote control so you don’t have to get out of bed to change settings. Some tower fans have a nightlight so this may be useful for a bedroom and some tower fans have bright power lights, which many find NOT useful in the bedroom when you are trying to sleep. Budget may come in to play and also warranty. Some tower fans may have a 1-year warranty while some come with up to 5 years. Some tower fans even come with Wifi control. There can be a few things to think about but we have you covered! Are tower fans better than other fans? This all depends on what you are after. All fans have their pros and cons compared to other fans so it really depends on what your requirements are. Ceiling fans move a lot of air and can be used in winter and summer, but cannot be moved from room to room. Pedestal fans move more air than tower fans but tend to be less attractive amongst your decor and are more unstable and less safe around pets and kids. Floors fans are powerful and portable but have very few features. These are just a few of the pros and cons that each fan might have. When it comes to tower fans, their strength is in their appearance, convenience, and features. They are by far the easiest to fit with your home without being an eyesore, are very easy to move around and often can be controlled by a remote control or even wifi and they can come with an array of features such as a nightlight, Ionizer, wind modes and a timer. Is a tower fan better than a pedestal fan? We cover this extensively in this article but again this will come down to what your requirements are. 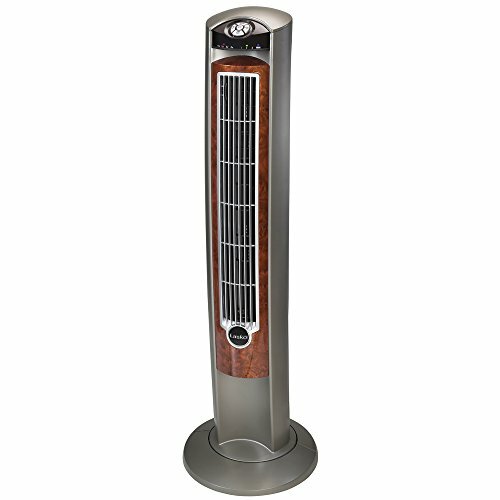 Loosely, pedestal fans are more powerful, however, tower fans tend to have more features, fit in smaller spaces and are more stylish. What features should I look for/expect? When looking for a tower fan it is useful to know what features are available and what to look for before you purchase. This way you can ascertain what it is you need your tower fan to do before you purchase. Below is our guide to help you with understanding some of the features you will find when searching for the best tower fan. You will find for the most part that tower fans come with at a minimum of 3 airflow speeds low, medium, and high. The fan speed controls how fast the fan blows out the air. 3 speeds are the minimum standard tower fans. There are a number of fans with more speeds for instance with the Dyson AM07 comes with 10 speeds and a number of other products come with 4 and 5 speeds. Oscillating tower fans are also the norm these days and all the best tower fans come with this feature. It’s a necessity for spreading your airflow around whichever room you are trying to cool. Fans these days will oscillate to various degrees ranging from around 45 to more than 90 degrees. There are a number of fans that offer a variety of settings in terms of how the air is output. You will have your traditional fan slow which blows air at a constant speed. Combined with the oscillation its the main setting for any tower fan. A variation which some brands of tower fan include is Nature mode. This is an attempt to create an airflow based on a natural breeze itself. As a breeze is not the same constant airflow this setting tries to emulate that by cycling through the fan speed settings often randomly. You might come across one or two variations of these but for the most part, you will often come across these airflow settings. Another feature tower fan purchases shouldn’t go without is the automatic timer. This function is great for a number of reasons. Trying to get to sleep on those warm nights but don’t want to catch a cold during the night? You can program the fan to turn off after a certain amount of time, maybe an hour or two after you sleep. No waking up in the middle of the night to turn it off. Not only is it convenient but it will also save you a lot of power if you need to leave your fan running for a certain amount of time, but not the whole day or night. Just set the timer and off she goes. Timers on tower fans have a lot of different ranges, some you can change at 15-minute increments and some start from 1-hour increments. There won’t be many tower fans these days that come without an infrared remote control. All the best tower fans will have one. These are great additions for those that need to control their unit from afar such as at night in the bed, or from the couch. Along with the remote control, many fans come with a storage place on the unit itself to store the remote when not in use. Some have a magnetic piece on the unit to stick it to. Being infrared, in order to work, you will have to be in the line of sight with the sensor on the unit. With some units, the placement of the sensor can make this a bit problematic as some sensors are placed on the part of the unit that oscillates, and I’m sure you can imagine how fun that would be trying to change settings. Some units have the sensor on the top of the unit, which means you will have to have the remote aiming down from above for it to work. Another small thing to consider is whether or not the remote makes sounds when you change settings. With some units, purchasers have complained the sound is too loud and can wake people up who are sleeping – not ideal if you plan to be using your fan in your bedroom at nights while others are sleeping. Thermostats are not a common feature on tower fans probably due to the fact that tower fans do not really control the temperature of your room. Quite often purchasers confuse tower fans with air conditioning units. 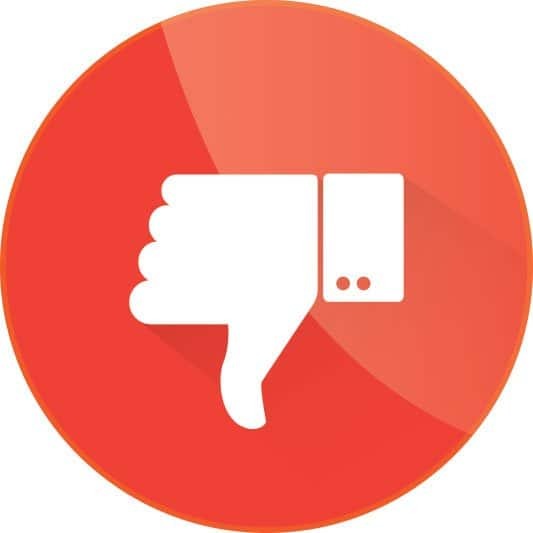 Tower fans are not capable of air conditioning and many people have bought one and ended up disappointed because of this. Though some fans use the cool air from the bottom of the room to blow out tower fans are not able to control the temperature of your room. There is still the occasional tower fan out there however that do have a thermostat. Noise can be a big factor to consider when purchasing a tower fan especially if you are wanting something quiet for the bedroom at nights. Many tower fans are bladeless so are a little quieter than their traditional blade fan counterparts. Some fans opt to blow more air than being concerned about the noise so you will want to make sure you are not buying one of those for your bedroom while you are trying to sleep at night! Many people like the white noise tower fans produce at night which helps them sleep. Before you buy if you can find out the DB you can get a good idea of how loud the tower fan might be. The quietest fan we have found is 61 DB at its highest setting (ten settings on the fan). That’s about the same amount of sound as a conversation in a restaurant. Cleaning tower fans will depend on the type of tower fan you have. There are a lot of fans without blades now so it makes cleaning a whole lot easier. You will want to check the instruction manual for how to properly clean your fan but the most common method of cleaning your tower fan is with a damp cloth and water, for the exterior of your fan. Don’t use any detergents or liquids as this may damage your fan. For cleaning the insides of your fan a lot of products recommend using your vacuum cleaner brush for cleaning. 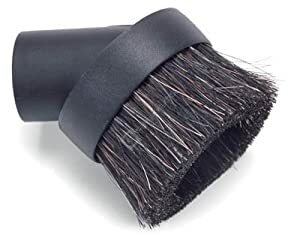 The problem is with some fans is that the brush will only reach so far in through the grills of your fan. A lot of bladeless fans are not made to be taken apart so getting in amongst the bits and pieces can be difficult. So another perhaps slightly easier method is using compressed air to blow out the dirt and dust. This is a good method too for those fans that still use blades. Although you will likely find these fans a bit easier to take apart and get into those nooks and crannies. Depend on where you are buying from and where you live, you will want to make sure you tower fan runs on the same voltage/Hz. You can find out what your country runs here. Most tower fans on Amazon run at 120v. Another safety standard for tower fans is being ETL Listed. The amount of assembly required will vary depending on which fan you purchase, although there is fairly minimal assembly required for most fans. Some may take you up to 15 minutes and there are others that work straight out of the box. Generally, most of the assembly required with tower fans are securing the unit to the base and requires a few screws. When looking for the best tower fan its always good to know you are covered in the case of faulty parts or unit. The quality of some fans out there is questionable so with a longer warranty you can feel much safer with your purchase. Warranties for tower fans we have found, range from 1 year, which is probably the most common up to 5 years. 5 years is an extremely good warranty and it’s great that the company is backing their products. We found quite often fans breaking down shortly after a one year warranty. Most people don’t want to be buying a new tower fan every year. Always find out what the warranty of your fan is, and keep the box and receipt just in case. We hope you find our tower fan reviews provide you with all the information you need to make a choice you can be confident is the right one for your own home and budget. Some tower fans are now wifi enabled. Currently (at the time of writing) there are not all that many to choose from, but no doubt it is the way of the future. If you are wanting the ultimate convenience which smart appliances provide, keep an eye out for a wifi enabled tower fan. At Knowtheflo.com we aim to create the most useful information to help you with your purchasing decisions. We know time is precious so we have spent time researching products so you don't have to.